Terrence Wyman has been flying since 2004 and to date has had the good fortune to have flown over 20 different airframes. Before entering the aviation industry, Terrence earned a Master of Science degree in Forensics, leading to a job as adjunct university faculty at the University of Arizona Medical School teaching Human Gross Anatomy. 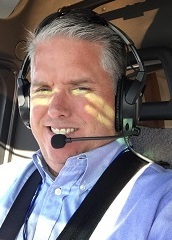 After attending civilian flight school and becoming an FAA Gold Seal Flight Instructor, he has worked at various flying jobs such as offshore logistical support in the Gulf of Mexico, powerline and pipeline patrol, movie production, charter flights, electronic news gathering and wildlife management. 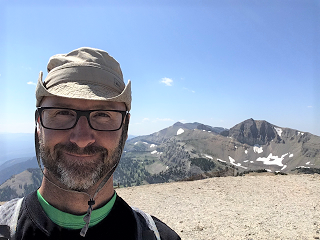 Currently working full-time as an HAA/HEMS pilot in New Mexico, he also spends time flying as a part-time ENG pilot and doing occasional flight instruction. Outside of the cockpit, he is a contributor to Vertical magazine. 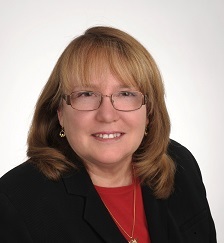 Terry Palmer has more than 25 years of experience in aviation safety and training and has specialized in the helicopter sector for most of her career. She is the recipient of numerous awards, including the 2015 Airbus Helicopters Jim Charlson Aviation Safety Award and HAI’s 2010 AgustaWestland Safety Award. As the previous chair for the US JHSIT Training Work Group, Terry authored the International Helicopter Safety Team Training Toolkit. She is a Board member for the Commission on Accreditation of Medical Transport Systems and one of the authors featured in their book, “Safety and Quality in Medical Transport.” She currently serves on the HAI Training and Safety Committees. After more than a decade at FlightSafety International, Terry is now the director of the Helicopter Flight Training Center, a division of Metro Aviation in Shreveport, Louisiana. The training center, designed by Terry, is unique to the industry and focuses on training for Air Medical and Law Enforcement helicopter pilots, mechanics and support staff for North and South America. Terry is also the chairman of the Shreveport Chapter of the Ninety-Nines. Nick Mayhew is currently employed as Senior Program Manager at L3 Link Simulation and Training in Texas. He is the 2017 recipient of the Helicopter Association International W.A. “Dub” Blessing Flight Instructor of the Year Award. He attained his Airplane Private Pilot’s License at the age of 17 and joined the Royal Navy as an officer in 1977. After completing his fixed and rotary wing training he was awarded his Wings in 1979 and converted to the Sea King operating in the Anti Submarine role from operational ships both around the United Kingdom and abroad. He completed his Qualified Helicopter Instructor Course in 1984 and served as a flight instructor on various squadrons throughout his naval career. Nick spent some time away from the cockpit to qualify as a seaman officer and served in the Fishery Protection Squadron and as a Training Officer in the Dartmouth Training Squadron before commanding his own patrol vessel and leading the University Royal Naval Unit at Glasgow University in Scotland. Returning back to aviation he “drove” a few desks and managed the Royal Navy’s flight training pipeline, spending some time in procurement and project management on the Joint Strike Fighter Training IPT and as the first Requirements Manager for the both the RN and RAF version of the Merlin (EH101) helicopter. A veteran of both Gulf Wars, serving in HMS ARK ROYAL, he ended up flying the Sea King in an operational and training Search and Rescue role until he departed the Service after 28 years in 2005. He moved to the USA and joined Helicopter Adventures Inc. as the JAA Chief Flying Instructor in Titusville, Florida in March 2005, which he enjoyed for two years before stepping up into the prestigious role of General Manager when Bristow Group purchased Bristow Academy in 2007. Later, as Commercial Programs Manager and EASA Head of Training, Nick remained current as a pilot in the Bell 206 and Sikorsky 300 CBi, and was an EASA Flight Examiner with both EASA and FAA Commercial and Instructor rotorcraft qualifications. He also Chairs the US Helicopter Safety Team Training Working Group, is a member of the ICAO IPTC work-stream and is Past President of the Titusville Rotary Club. He is married to Kathy, has 2 daughters and lives in Mansfield, Texas. Jeffery Smith was Chairman of the Eastern Region Helicopter Council (ERHC) from 2008 until 2013 after nearly ten years of dedicated volunteer service. He currently holds the title of Vice President of Operations and Governmental Affairs and continues to serve as a Director. He earned his Airman Certificate at Fort Rucker Army Base in Alabama and has over 11,000 flight hours with over 700 in Emergency Medical Service in both combat and civilian metropolitan environments. While in active duty, he spent ten years as an Instructor Pilot, Safety Officer, and Battalion Operations Officer serving diverse missions, including Attack, Air Cavalry, General Support and Medevac, across North and South America, Europe and the Middle East including Operation Desert Storm. Upon exiting active duty in 1997, Jeff Smith was placed in Individual Ready Reserve as a (CW3). He then began his career in civil aviation with Liberty Helicopters. In the four years Smith spent with Liberty Helicopters in New Jersey, he was a Part 135 Captain and was promoted to several positions including Asst. Chief Pilot, Heliport Manager and Safety Officer. 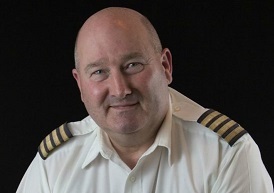 Jeff Smith has worked for several civil aeronautical companies, including Executive Airlines where he served as Director of Operations for a Multi-Category, Multi-Ship, IFR Part 135 Certificate. In 2002, Smith started Integrated Aviation Group and was awarded a Part 135 IFR Certificate. In 2005, Smith accepted his current position flying an S-76C+ and AW139 with ROP Aviation. He holds a bachelor of science in professional aeronautics from Embry Riddle Aeronautical University. He is a FAA licensed airline transport pilot, holding a Class 1 medical certificate.